I met Lisa Tener at the San Francisco Writers Conference in February and was immediately impressed by her presence. She’s a sought-after book coach who has helped authors such as Deb Scott, Carrie Barron, MD, Anne Burnett and others secure big publishing contracts. Despite Lisa’s accomplishments, she’s one of the most humble – and talented – book coaching and publishing experts I’ve met. Here’s Lisa in her own words on coaching, nonfiction publishing, platform building, and the benefits of devoting time to book marketing. I’ve read your bio but I want to hear from you how you rose in your career to become such a talented and coveted book coach? Wow, thank you for saying that. It was a circuitous path. I knew I’d grow up to be a writer since first grade—just didn’t know what kind. And coming from a family of educators, teaching is in my blood. I majored in management and minored in writing at MIT—and I got to study with some amazing writing teachers, including Frank Conroy who went on to become the Director of the famed Iowa Writers Workshop. I started out in technical jobs (programming related), but even in that first job, we developed courses and manuals for internal clients, so I’ve always been teaching and writing. I did lots of writing as a nonprofit executive. Who do you work with and what do you help them accomplish? I work mostly with people who have expertise in a certain field—coaching, medicine, therapy, business, consulting, healing arts, educators, and others—but who are not usually professional writers. The majority of my clients are writing how-to or self-help books or other types of nonfiction. Some want to traditionally publish and I am guide them through that entire process—from fine tuning their book idea, to generating the platform to developing a first class book proposal, which includes polished, compelling sample chapters. Others self-publish and then it’s more about writing the book—again, I help them with their book concept, I edit and I guide them to resources to help them with other aspects of their plan. How can you tell when a book is right for a major publisher? 1. A large potential audience: they want to be able to sell a lot of books! 3. An author with a platform: It’s crucial to publishers nowadays to know that the author already has a pent up demand for the book—that there are people the author currently reaches who will buy this book when it comes out. And that the author can build on that reach to sell books to even more people. Publishers are risk averse in this current environment. The author can’t look like a risk. Yes, they’re looking for compelling writing, but if the concept and platform are attractive and there’s a big audience, they might recommend a ghostwriter or co-writer. Marketing is crucial for both traditionally- and self-published authors. You need a plan to sell books. And social media is taking a bigger and bigger role in helping authors get known. 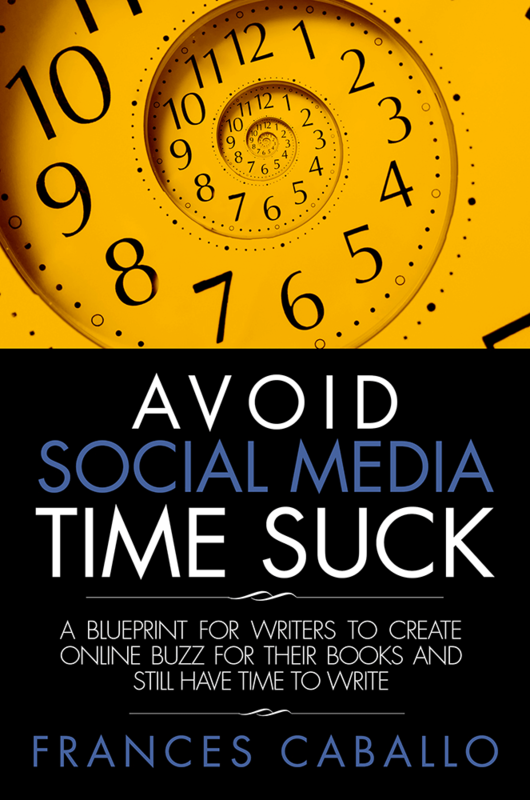 Through social media, people get to know authors, so there’s this attractive piece about connecting with your audience. In addition, people use social media to recommend books to others—so social media helps books take off. No question that social media is playing a bigger and bigger role in publishing and book sales. So publishers are much more compelled to want to see a significant audience. But they also want to see engagement. So what if you somehow got 30,000 followers who are not engaged with you? While numbers are an important factor, I would not say it’s a numbers game per se—so many factors go into a book deal. To give you an example, I have a client who blogs for Psychology Today and also gets picked up by the Huffington Post. He’s excellent with Twitter. He’d good about retweeting other relevant information, supporting his colleagues—he’s a team player. He has a bit over 14,000 followers. So a nice number but nothing blockbuster on Twitter. However, his posts for PT and HP often get a lot of play. Two different major publishers approached him about writing books and he got a six-figure book deal. So, certainly his engaged presence on digital media played a major role in getting his book deal. But it’s not like there is a magic number that made it happen. Just that the engagement and reach were high. What are the traits of a bestseller, whether it is a work of fiction or nonfiction? Well, I specialize in nonfiction, so I’ll focus there. And I specialize in self-help and how-to. There’s some part strategy and some part magic, so I can’t give you a formula but here are some of the usual ingredients: Something fresh about it, even if it’s a popular topic; relevant to a large audience; a compelling and fresh-sounding title definitely helps—it should give a sense of benefits or potential results of reading the book; well written; entertaining—often it’s fun to read—there’s a strong voice and maybe the voice is even playful or sassy or smart or very humorous; well-organized—easy to read. But a book can have all these things and not be a bestseller. Much has to do with what the author does to get the word out. I think one of the biggest keys to success is persistence and believing in your book—being willing to do whatever it takes to get the word out. You will hit challenges and the bestselling authors see those challenges as opportunities. What advice on marketing do you give the authors who work with you? Take marketing seriously! And have a marketing plan that generates money from things other than book sales. If it’s all about book sales, you can invest a great deal of time and money to generate a small amount of money, but if you have something else to sell—online courses, consulting, coaching, seminars, speaking gigs, etc.—then one book sale can generate a great deal of income and you can, in turn, continue to invest some of that money back into marketing and promoting the book. I also advise authors to blog. A blog gives you a home base where people can find you and connect and, hopefully, sign up to hear more from you so they stay in touch. A blog also helps with Google and other search engines. And it helps you engage in your communities with something to offer. Then, other social media is important for connecting with new people and expanding the reach of that blog. I love the variety, so it’s a bit hard to pick one. I do love starting with an author who is at the beginning stages and still shaping the book, because we can be very creative and at the same time responsive to the marketing aspects from the get-go. I personally enjoy finding the synergy between marketing/business/publishing and the creative inner voice and inner knowing of what I refer to as the muse. I like to work with the left brain aspects of a book and then see what the muse has to say. I have an exercise I take people through, I call it “Meet Your Muse” that facilitates access to that inner muse for clarity in making creative decisions—and any decisions—about the book. Readers can access it here: Meet Your Muse Visualization. What is the most difficult element to being a book coach? When someone is uncoachable it can be incredibly frustrating. They want to get an agent but they’re not willing to grow their platform. Or maybe they don’t even want to build a website—that’s a nonstarter! I’ve been in the business long enough to know when it’s not a good fit for me. I’m pretty lucky. I get to work with amazing people. I’d say once in a while I hear from someone who has a full first draft complete or a large section complete and I know it needs reorganization, yet for some reason it’s a complex book or it’s just not clear to me how to structure the material, and I feel overwhelmed, I know it’s time to bring in a colleague who specializes in that. So, it’s helpful to know your limits and when something is not playing to your strengths or it’s just not a good match (maybe not for the whole project but certainly for that aspect). Again, I’m lucky to have amazing colleagues I can call on if I get stumped on a particular book, which happens maybe once a year, if that. Can you highlight the benefits and differences in your different coaching programs? 1. Book proposal coaching: this is for someone who wants a traditional publisher. It includes guidance on developing the book concept and structure, making the proposal highly marketable, and often on platform building as well. I will contact agents I know who seem a good match for the book. If we don’t get an agent (or if the author is not interested in much platform building, or the topic doesn’t lend itself to a publisher big enough to interest an agent), then I either help guide the author to query individual publishers or in some cases I contact smaller publishers whom I know and think are a good fit. 2. Book writing coaching: we can do this on an individual, customized basis or authors can join my annual Award-winning Bring Your Book to Life® Program to write a first draft in 8-12 weeks. We can then work on editing to complete the book for self-publishing or switch to working on the proposal. 3. Individual Consultations: These can focus on the publishing decision, platform building, next steps, or a book concept consultation. For the latter, I might recommend someone work through my “Quick Start to Kick Start Your Book” program which is $97 or $116, depending on whether digital or hard copy. It guides writers through developing the book concept and structure before diving into the writing. 4. Editing: Generally, I only have time to edit for someone who has gone through one of my programs above, but for the right project I have been known to take on someone new. I also have some skilled colleagues I recommend for editing, as part of the services I offer. There are a lot of book coaches. What distinguishes your coaching from other professionals? Probably the most important feature to someone looking for a coach is the results my clients get. Many have been published by—or recently signed deals with—major publishing houses including Random House, HarperCollins, Simon & Schuster, Beyond Words, Hay House, Yale University Press, New World Library, New Harbinger and more. And others choose to self-publish, many of who have won multiple book awards. I have both a marketing background (and won a Gold Stevie Award for Marketer of the Year-media) and strong writing training. I am a traditionally published author myself. I have two business degrees from MIT’s Sloan School of Management. I serve on the faculty of Harvard Medical School’s publishing course. So I bring to the table all the pieces that help make an author successful—the writing, the business and marketing aspects and an understanding of the industry coupled with strong contacts in the industry, including the agents and publishers who serve with me as faculty for the Harvard Medical School Course. I’ve won multiple awards for my work, and the fact that I teach at various writers conferences, plus on the faculty of Harvard Medical School’s publishing course all speak to a certain quality. Clients tell me they value my ability to help them access their creative and intuitive abilities which are critical to writing a great—and successful—book that helps them actualize their potential. Probably more than half of the people who contact me already know I’m the book coach for them and they want to hire me. I think some of that is word of mouth, but the majority is from the testimonials they read on my website. I think those testimonials give people a sense of what I bring to the table so it automatically attracts the people who need what I have to offer. I’m not going to be the perfect book coach for everyone—but I seem to be ideal for those people whom I work with and who value the items I just mentioned. Your 8-week signature Bring Your Book to Life® Teleclass has helped a number of authors write their books, navigate the publishing world, and enjoy tremendous success in terms of publishing deals and awards. What are the keys to their eventual success and how does your program help them? Wow, I could say a lot about that. I guess one key is that the program focuses on having them have a very strong start so they likely have clarity on the book concept and structure before our teleseminars begin (there’s pre-work they complete beforehand, including one-on-one work with me). In that pre-work we work together to capture what that author has to offer that makes the book special and marketable and resonate deeply for their audience. It’s fun work. It’s creative, and I so enjoy that one-on-one which is often crucial for writing the best book you can. Then, the program has quite a bit of built-in accountability so its structured to keep you on track—and most people complete a remarkable amount of work in the 8 weeks of teleseminars—often completing a first draft or first draft with a few holes (of a book or book proposal), in that relatively short time. And yet, because of the pre-work and the material we cover, as well as the feedback from me, the books are also high quality.